Christopher would love to meet you! 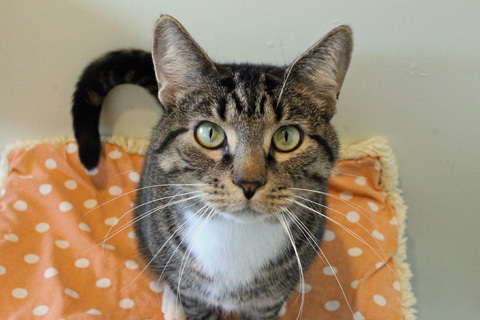 He would do best in an adults-only home with an experienced owner where he is the only pet. Christopher is a part of PAWS Chicago’s Featured 5 adoption program. Christopher is currently spending time in a foster home. 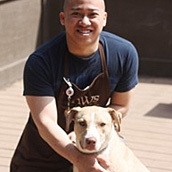 For more information on how to meet or adopt Christopher, please e-mail adoptions@pawschicago.org. Looking for an energetic playful cat? 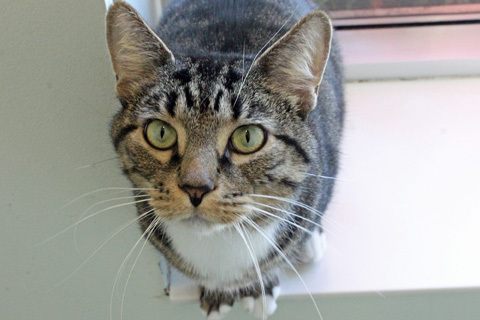 Christopher is a handsome 6 year old cat that is full of energy and personality. He loves playing with anything he can get his paws on including wand toys and scratching posts. 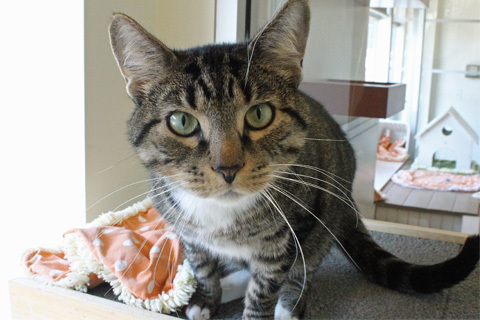 Christopher is super sweet and will wait patiently by the door for you to arrive home and play with him. Christopher is also extremely smart and has been working on clicker training. He works on training at least twice a day. Christopher's ideal home would be with an experienced owner who will be able to give him the continued training he requires. 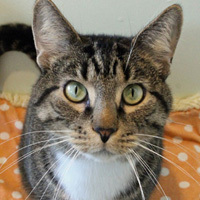 This energetic love bug is very affectionate and loves to cuddle up on the couch. He would do best in an adults only home with structured play time. Christopher also loves to be the center of attention so he prefers to be the only pet in the home. I’ll take as much exercise as I can get! I'm working on clicker training!